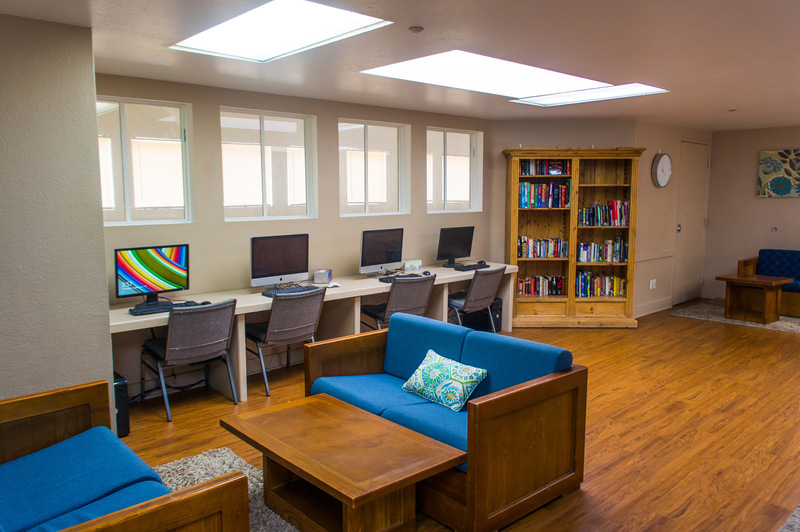 STEM³ Academy offers a therapeutic residential program for its students called Project Six. Located in the San Fernando Valley within Los Angeles County, residents reside in a dorm-like setting, complete with an art and music studio, computer lab, fitness center, indoor basketball court and a large gymnasium. Project Six residents experience a nurturing environment where positive and constructive feedback is integrated into a structured daily schedule. The program encourages respect, personal and interpersonal development and fosters a sense of community and responsibility. Supported by a highly skilled, compassionate and caring clinical and behavioral staff, residents are encouraged to address their individual needs in a proactive and productive manner. Each resident has a personal advisor for additional guidance and support. Project Six/The Commons utilizes a relationship-based treatment model, with evidence- based practice at its core. Our treatment philosophy promotes progress by teaching our residents how to develop age-appropriate interpersonal skills which contributes to overall social-emotional, behavioral, and academic improvement. We provide a safe, structured, and caring environment that focuses on positive ways to engage in relationships. Our program is designed to assist adolescents to recognize and build upon their strengths while helping them control and eliminate negative behaviors that interfere with their ability to learn and lead a healthy, productive and satisfying life. On-going communication between STEM³ Academy, classroom teachers and the residential staff, as well as the availability of study skill instruction, tutoring and academic enrichment, ensure a full integration of the educational program into the residential setting.